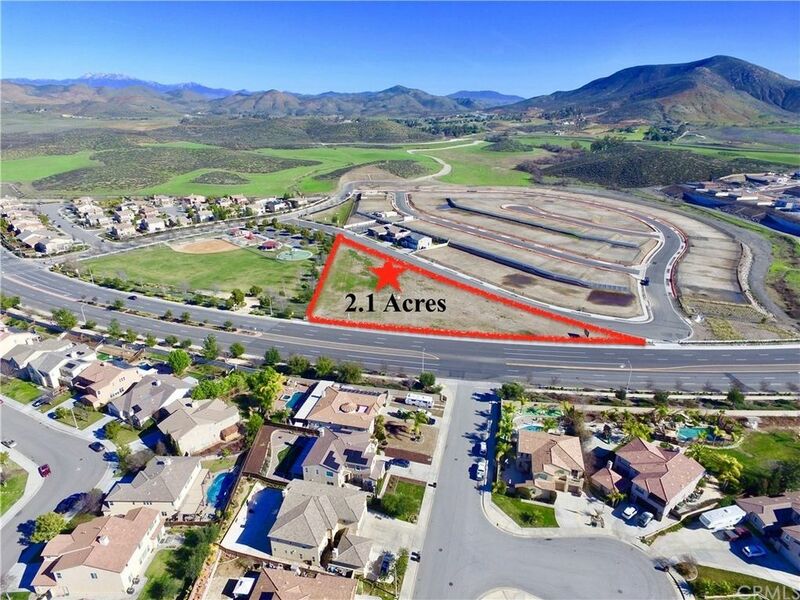 TWO PLUS (2.10) ACRES of vacant land currently zoned for Child Day Care Center in French Valley, Riverside County. Possibility to subdivide for 4-8 homesites. Lot is a triangular parcel on Washington Street and Brookridge Lane. Highly visible. Directly next door to Washington Community Park, featuring sports courts and fields, play equipment, and picnic facilities. Lot had been zoned for the lands optimal use due to all the many surrounding new construction and existing housing tracts. Directly across street are the model homes for Camberly Place, a new KB HOME COMMUNITY. Parents with young children expected to occupy these huge housing tracts. Even more to be planned for construction in the area. French Valley is a quickly growing residential area North of Temecula. Three+ miles only to Diamond Lake to the North and Lake Skinner to the South. Also, Lake Elsinore, Perris Lake, mountains, deserts and beaches a quick drive on the convenient Freeways. Located within the Golden Triangle of Riverside County, the fastest growing County in California. Hwy's 74 and 79, I-10, I-15 and I-215 minutes away for employment and family entertainment. Great 100% location for a 100% return of your initial investment. Opportunity! Must see! Directions: Hwy 79, (Winchester Rd) to Keller Rd. East to Washington, 2nd parcel past Field Rd. Next to Park.